The 2018 legislative session ended on a sour note for charter school advocates, as ICSN’s House Bill 566 fell victim to political gamesmanship in the final hours. HB 566 would have created a new charter school administrator certificate, allowing charter school boards of directors greater leeway to hire administrators from diverse backgrounds to meet each school’s unique needs – a flexibility already allowed in most other states. Most legislators agreed with ICSN that charter schools are subject to too many state level regulations, and that in exchange for accountability to their authorizer, charter schools should be given greater autonomy and flexibility. 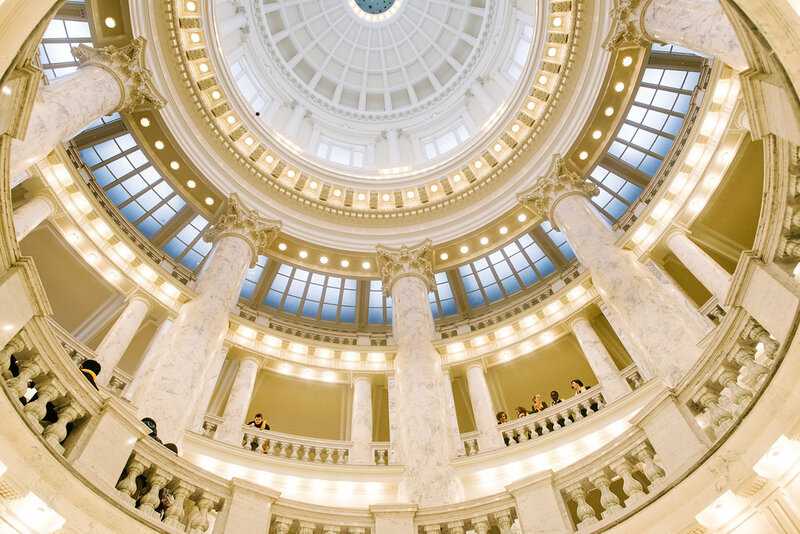 Despite the typical opposition from traditional trade associations like the Idaho Association of School Administrators, the Idaho School Boards Association and the Idaho Education Association, HB 566 passed both the House and Senate by sizeable margins. Though neither the Governor nor his staff had expressed notable concerns during the many conversations about the bill, in a surprising twist on the last day of the session, the Governor decided to veto the legislation. Though we may never know the full story, we have been assured by many legislators that they will continue to support our future efforts pursue greater flexibility for charter schools. We can only hope that the next governor will do the same. Public school funding – the legislature increased funding to public schools by 5.9 percent, or approximately $100 million. This includes an additional $15.9 million in discretionary funding, with $7.2 million for health insurance costs. Ongoing funding for the career ladder – with little opposition, the legislature approved an additional $100 million to fund the fourth year of the $250 million career ladder plan, a touchstone of the governor’s taskforce recommendations. School security(?) – responding to pressure following the school shooting in Florida, the legislature passed one bill to allow retired law enforcement officers to carry concealed weapons on school grounds and another to allow prosecution of threats made off campus and on social media. Changes to the Idaho Reading Indicator – an effort to allow local districts to use a reading indicator other than IStation failed first through rejection of a funding bill and second by veto of a bill that would have eliminated the screener results as a component of the career ladder. All k-3 teachers will have the IStation test beginning in the 2018-19 school year. Superintendent Ybarra – for the third year in a row, the legislature rejected Ybarra’s proposal to create rural education support networks. Mastery expansion – though support for a shift toward mastery based education remains strong, the legislature rejected a $1.4 million proposal to expand the existing pilot, with many expressing a desire for evidence that the mastery pilot is working. The Public School Funding Formula Interim Committee held its first meeting of the year on April 17th. The committee intends to have a formula prepared by the end of November. The new formula is expected to be a weighted student formula. Leading up to that final product, there will be focus group meetings held in each education region, and the consultants (Education Commission of the States) have been instructed to include charter school administrators in those sessions, which will be held in Spring, but specific dates are yet to be determined. The committee will hold a meeting in July to make significant policy decisions based on the input of the focus groups. Please let us know if you are interested in participating. A lot of attention is being focus on the gubernatorial primary and general election. However, up to one-third of the legislative membership could change, with many of those races being decided in the May primary.